Interested in forming your own Vanpool? GWRideConnect is here to help! 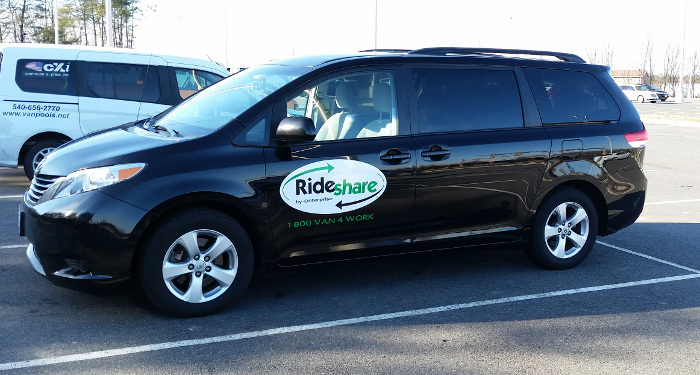 To register your vanpool in our database to find passenger matches going to your work location, complete our GWRideConnect Application online. Your application will be processed and matches will be sent to you promptly. To register by phone, call 540-373-7665 and our staff will be happy to register your vanpool for you. We will provide you and your passengers with information regarding your commute such as Guaranteed Ride Home and Commuter Lot Locations in the region. Contact us to post your vanpool with vacancies on this website. Your vanpool will be posted with the origin, designation, corresponding work hours, a contact name, and phone number. The I395 Express Lanes Van Start Program is designed to provide financial assistance for new vanpool formations that travel along the I-95/I-395 corridor during the construction phase of the I-395 Express Lanes. The Virginia Van Start Program is available to new vanpools that do not qualify for the I395 Express Lanes Van Start Program. A vanpool may only utilize one van start program. Please call 540-373-7665 if you are unsure to which program you should apply. GWRideConnect offers AdVantage, a self-insurance, liability protection program for Virginia vanpools. Use our poster to advertise your pool around the office at work. Download the poster to print or contact us at 540-373-7665 to have 8″ by 10″ posters mailed to you. GWRideConnect is a partner of Vanpool Alliance, a public-private partnership created to enhance commuter travel options through vanpooling, reduce traffic congestion, and improve air quality in the region. New and existing vanpools that originate, travel through or terminate in the Northern Virginia Region are eligible to enroll in Vanpool Alliance. Participating vanpools will help provide ongoing, important information and in return receive $200/month per vanpool for their efforts. Interested in starting a vanpool? Submit your application today!